Meet Lyndi Stucky, designer of the new CreativeMornings Dallas t-shirt! 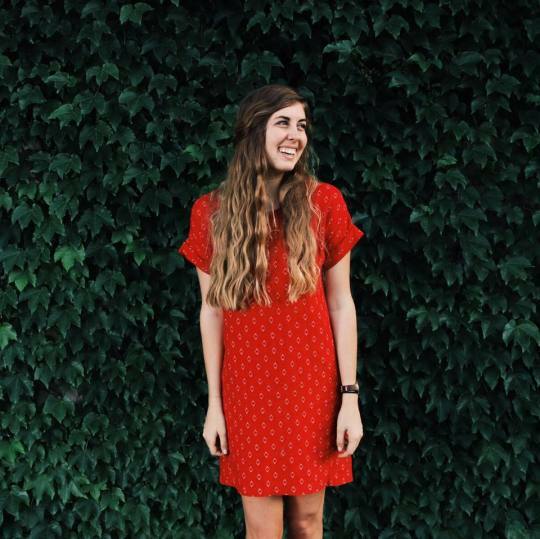 Originally from Denton, Lyndi made Dallas her home this past summer. You might find her around town drinking coffee bubble teas and exploring events like ‘Til Midnight at the Nasher. What do you love about Dallas? I love Deep Ellum, White Rock Lake and all the museums. I have a 2-man kayak that I take out to White Rock as much as possible! What do you enjoy most about CreativeMornings? I love the CreativeMornings family. I look forward to great coffee and chatting with such wonderful people. Kyle steed has been my favorite speaker so far. You should really watch his whole talk. That man understands design in such a beautiful way. At 3am when I can’t sleep and I have an idea that I just have to work on. What was the first CD/album you ever bought? What is one piece of advice that is overrated? Thanks, Lyndi! 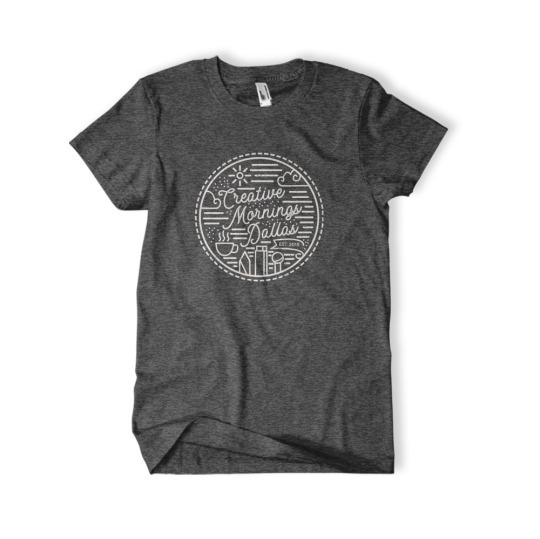 If you can’t wait to get your hands on a CreativeMornings t-shirt, pre-order by December 1st to save $2. We will be live printing these at our field trip event on December 2nd!